American Automobile Association (AAA) predicts that a record 993,200 Marylanders are expected to travel for the Independence Day holiday. This figure projected by AAA Mid-Atlantic represents a 5.7 percent bump over last year and the highest percentage increase of people traveling 50 miles or more for the holiday since the end of the recession in 2010. The automotive services company said this is the third year in a row the expected number of travelers has broken a previous record. 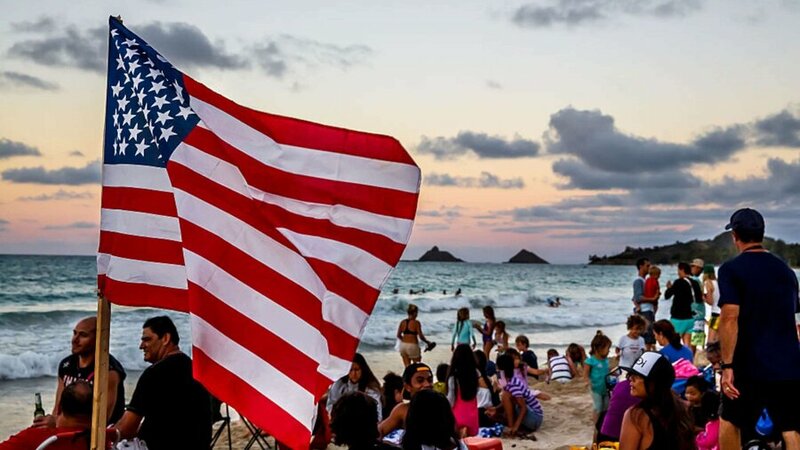 AAA defines the Fourth of July holiday period as July 3 to July 8. This holiday period is a day less than last year but the same number of days as the 2012 holiday when Fourth of July also fell on a Wednesday. That year also broke a new travel record for the holiday. Most of the Marylanders hitting the road would be traveling by car — about 87 percent, AAA reports. Merely 7 percent will travel by air and 6 percent will travel using other modes of transportation. Ragina Cooper Averella who is a spokeswoman at AAA Mid-Atlantic, said that since the 2017 year-end holidays, the company has witnessed a trend in record-breaking holiday travel volume by Marylanders, though gas prices have been higher than the previous year’s holiday. Gas prices in Maryland are about 20 percent to 28 percent higher than last year at this time, Averella said. Last Fourth of July, travelers paid an average of 19 cents more per gallon. Nationally and in Maryland, gas prices have gone down since Memorial Day weekend. Maryland’s average is a nickel lower than the national average at $2.80 per gallon as of Wednesday. A record 46.9 million Americans are expected to travel 50 miles or more over the July 4 holiday marking an increase of nearly 5 percent over last year and the highest number since AAA started tracking holiday travel 18 years ago. AAA Mid-Atlantic expects to help more than 7,000 stranded motorists in Maryland who need a tow, help with a dead battery or who have a flat tire. Αναρτήθηκε από geop στις 8:41 π.μ.